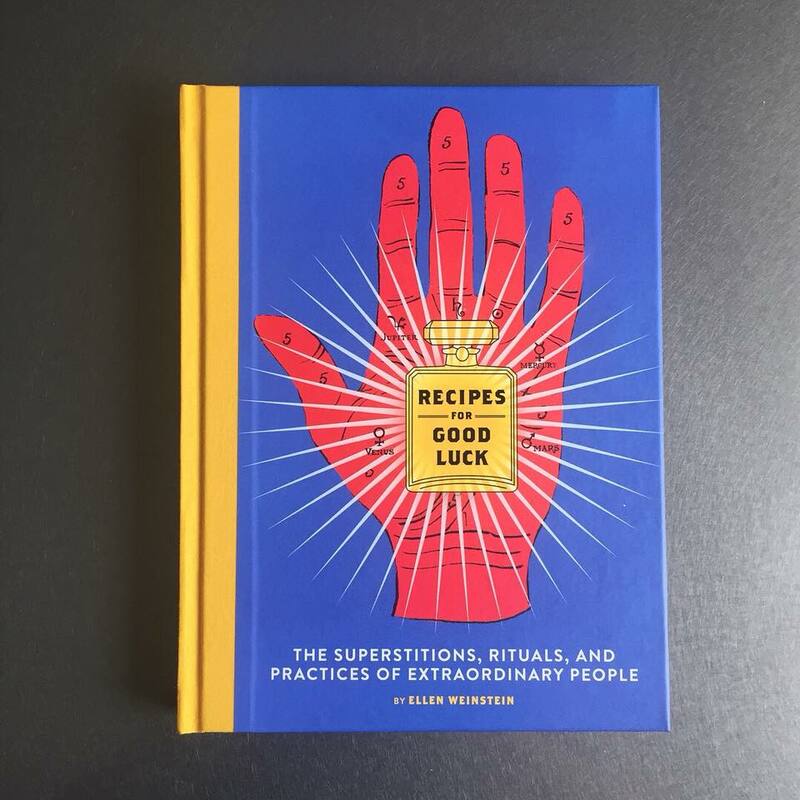 Please join me to celebrate the launch of my new book, Recipes for Good Luck. 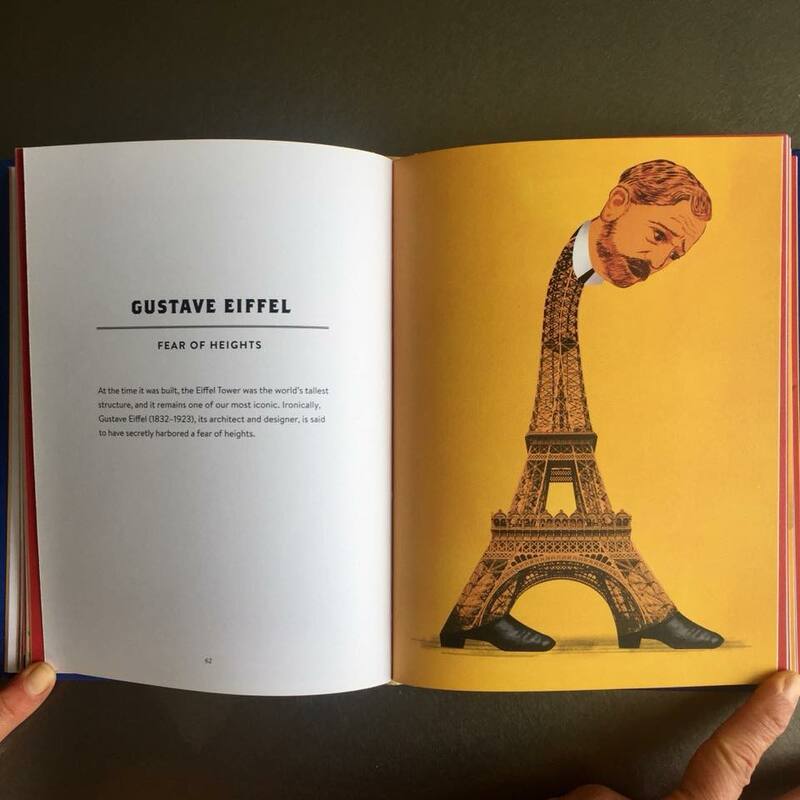 The book is my debut as Author/Illustrator and reveals the quirky routines, pre-performance rituals and lucky charms practiced by dozens of people from all walks of life. April 4 7:00-9:00 at PowerHouse Arena. Wine and snacks will be served! Thanks USB Memory Direct for the business card flash drives! 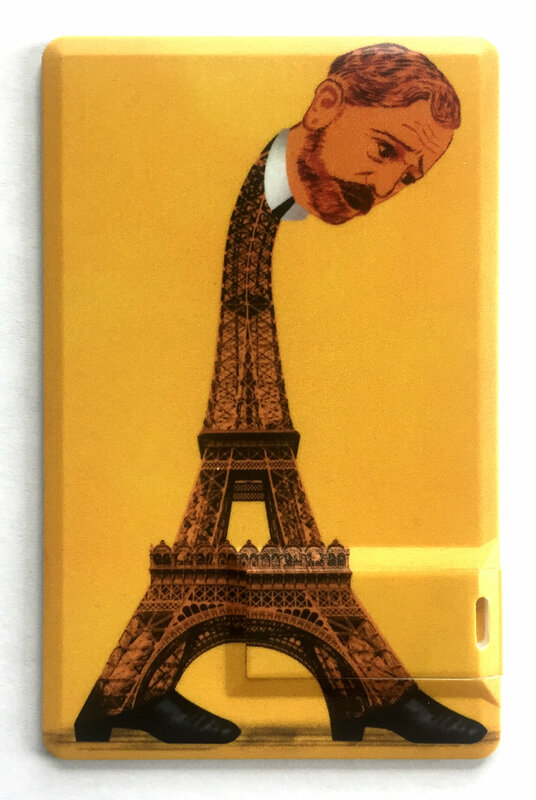 The front is the cover of Recipes for Good Luck and the back is an image form the book: Gustave Eiffel's Fear of Heights. The drives have a pull tab and hold 4 GB. 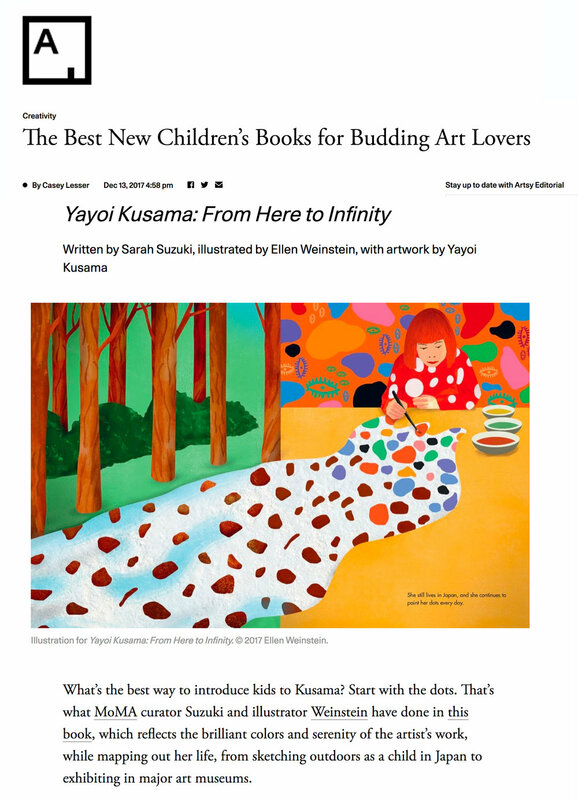 I am honored to have work from Yayoi Kusama: from Here to Infinity published by MoMA and Recipes for Good Luck: The Superstitions, Rituals, and Practices of Extraordinary People published by Chronicle Books selected for the Communication Arts 59th Illustration Annual. Many thanks to the jurors! I am in a group exhibition at the University of Indianapolis January 16- February 9 with some illustrious company. More info here. 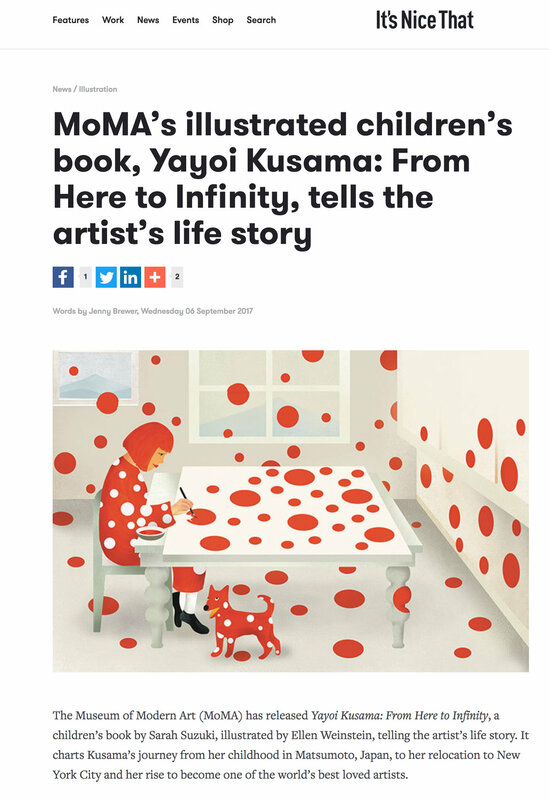 Yayoi Kusama: from Here to Infinity is featured on more lists for 2017! 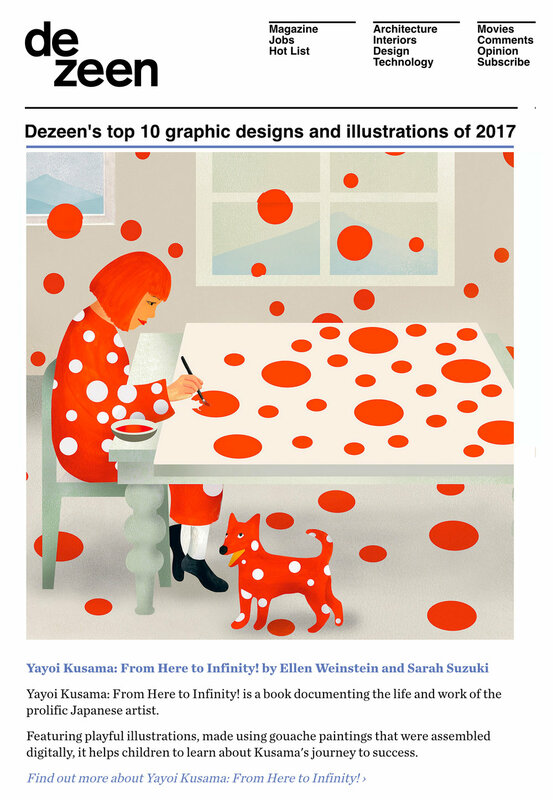 Yayoi Kusama: From Here to Infinity has made a number of Best of 2017 lists so far! 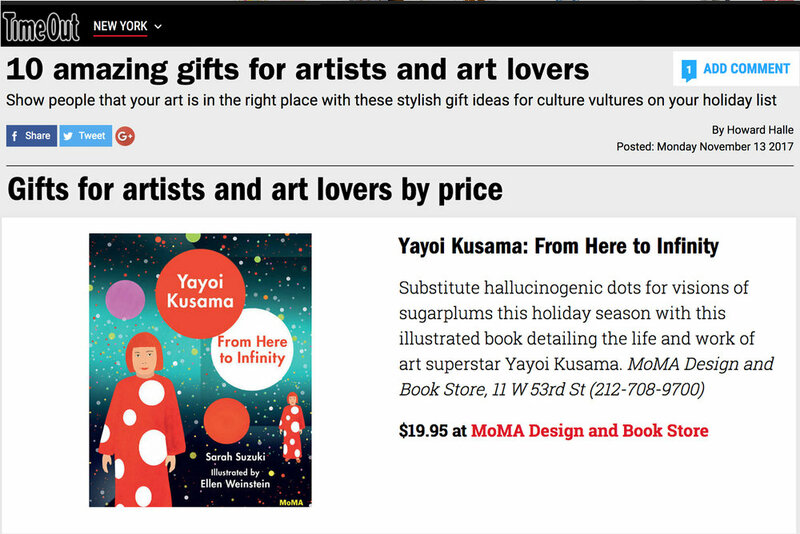 Time Out New York Gifts for Artists and Art Lovers. Read it here. Dezeen's top 10 graphic designs and illustrations of 2017. Read it here. Design Milk 2017 Gift Guide: Kids. Read it here. Robert Newman's Newmanology blog's 10 Favorite books of the year! Read it here. 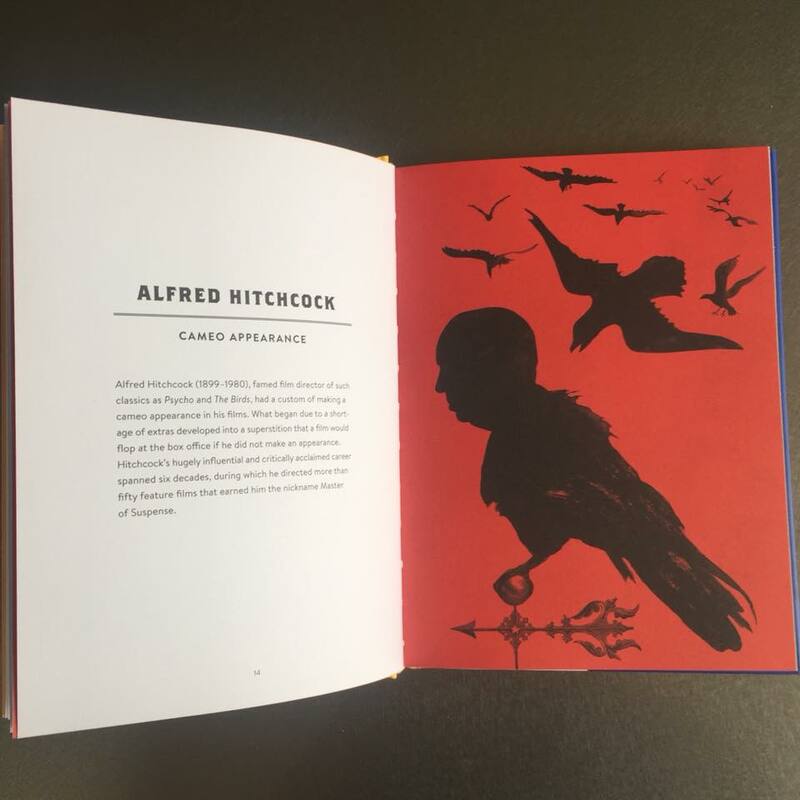 I am thrilled to have these four images in the Society of Illustrators 60th Annual Exhibition, Book and Editorial category. 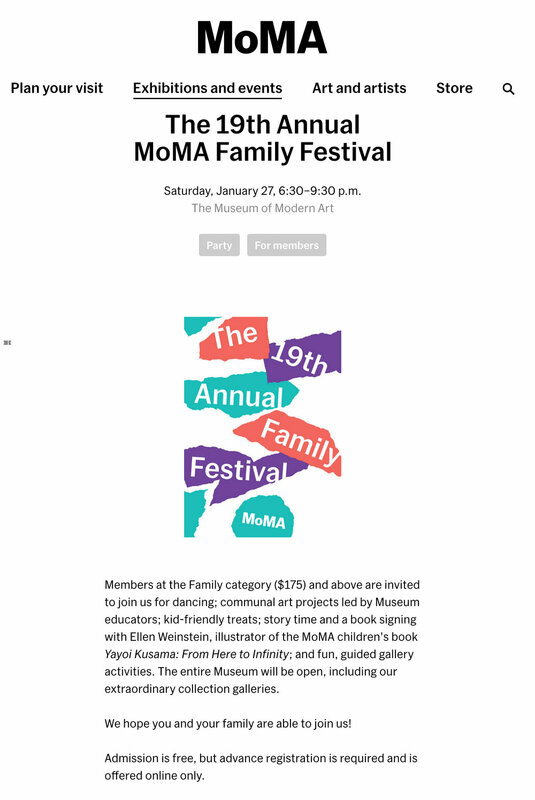 Thanks to the judges and my publishing teams at MoMA and Chronicle Books! 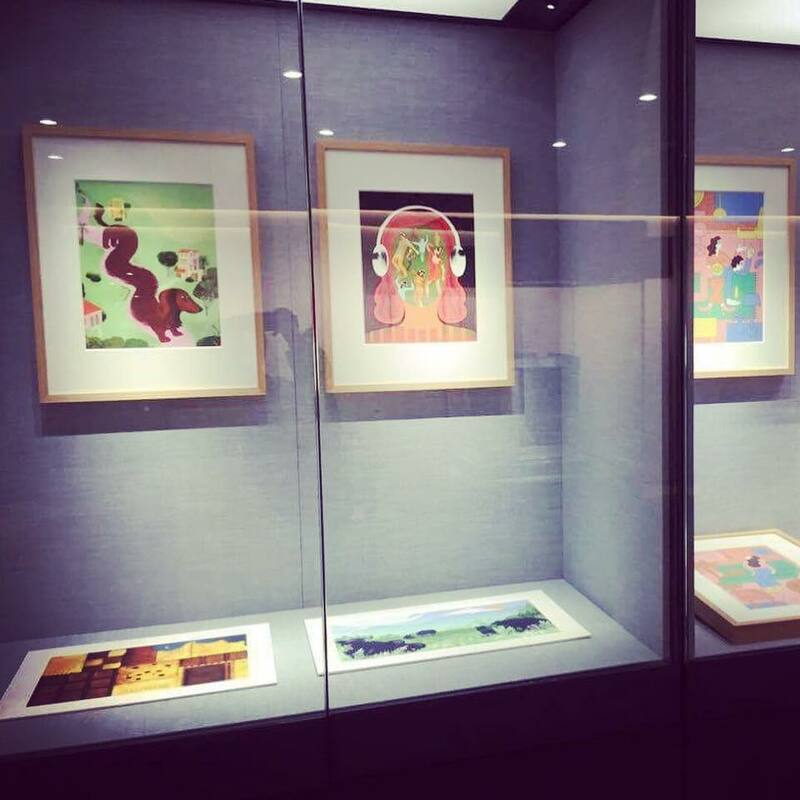 I'm honored to be a guest illustrator for the Great International Illustration & Contemporary Life exhibition 2017 in Beijing in Prince Gong's Mansion, Ministry of Culture, China. Many thanks to Kai Zhan for the invitation! 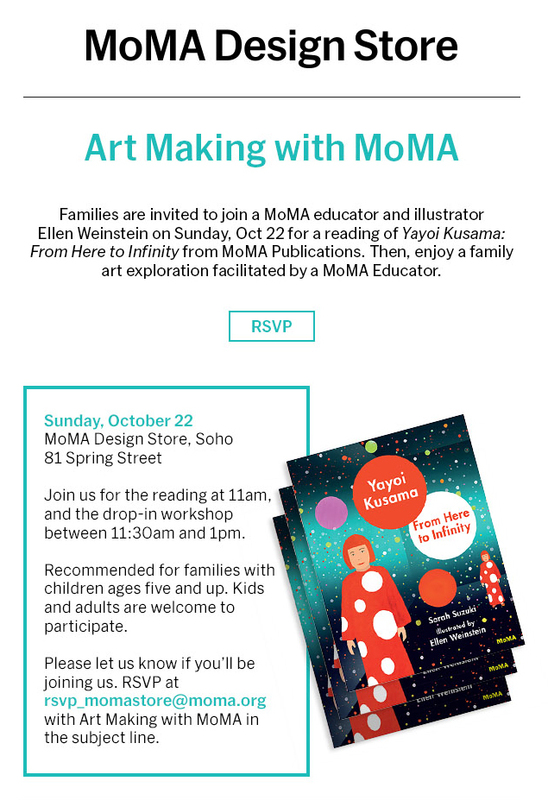 Please join me on Sunday October 22, 11am-1pm at the MoMA Design store on 81 Spring Street for a book reading, art making workshop for kids and book signing. RSVP for the art making workshop, drop in for the book signing! I recently taught a workshop and gave a talk in Sitka, Alaska as part of the Sitka Arts and Science Festival. Sitka is a beautiful coastal community situated in southeast Alaska. The setting is stunning, facing out on the North Pacific and surrounded by mountains and glaciers and sitting on the base of the Tongass National Forest. It is also a place steeped in history, the native Tlingit people have inhabited Sitka for 10,000 years and Sitka was once a Russian stronghold as well. The Sitka Arts and Science Festival brings together the disciplines of Art and Science in two separate week long programs, with each workshop running for five days. The workshop I conducted was Collage as a Medium, Design Tool and A Way of Life and I had an enthusiastic group of students from diverse backgrounds and levels of experience that were a joy to work with. The group formed a close bond during our days working together and each participant had their own unique approach and way of thinking. Our main project was to create a poster for the festival that would feature a specific aspect of Science, Art or the location of Sitka that was of interest to the student. We went out together as a group to explore Sitka National Historic Park and its collection of totem poles and the harbor. Everyone took photos for reference, made sketches or collected objects to be used for their posters. There was an exhibition of all the workshops on the final night. A few of our pieces. The workshop classes were held in the mornings and our afternoons were spent on a whale-watching excursion, hikes in the rain forest, exploring the historic totem park and the village of Sitka. The Arts and Science Festival overlaps with the Sitka Jazz Workshop and the High School intensives in Musical Theater and Dance. All of the programs take place on the Sheldon Jackson National Historic Landmark campus, making it a constant beehive of activity. I can see Russia from my window. No visit to Sitka is complete without a drink at the Pioneer Bar, ring the bell and buy everyone a round. With fellow instructor, photographer Clark James Mishler. I had the honor of meeting fellow instructor, Audrey Armstrong, born in the village of Galena, Alaska, Audrey teaches the traditional Alaskan art form of fish skin sewing. Some press from the event: the tote bag for the festival and an article from the local paper. It was a wonderful week of exploring and making new friends. This was my first trip to Alaska and I look forward to returning. I am thrilled to share the cover for a children's book collaboration with the Museum of Modern Art. 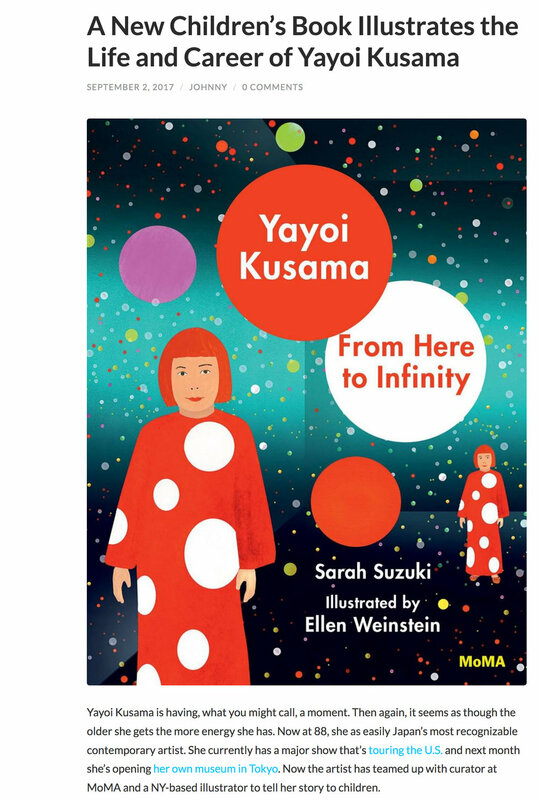 Yayoi Kusama:From Here to Infinity. 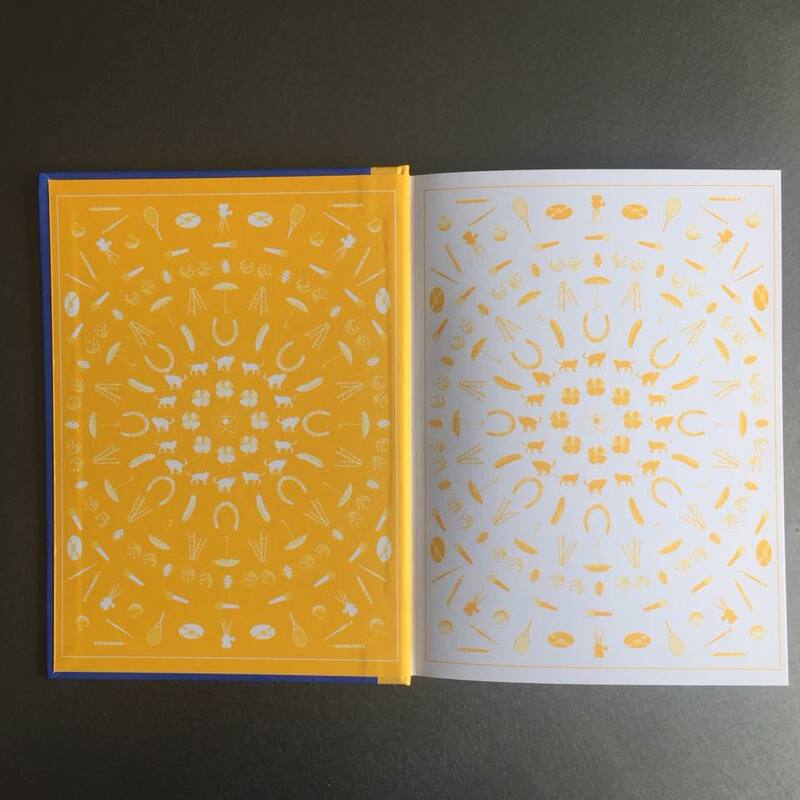 The book is written by Sarah Suzuki, a curator at MoMA and it tells the story of the legendary artist, Yayoi Kusama. It will be available in two months and I look forward to sharing more. I am excited to be teaching a teaching a workshop in beautiful Sitka, Alaska, July 22-28 as part of the Sitka Arts & Science Festival. 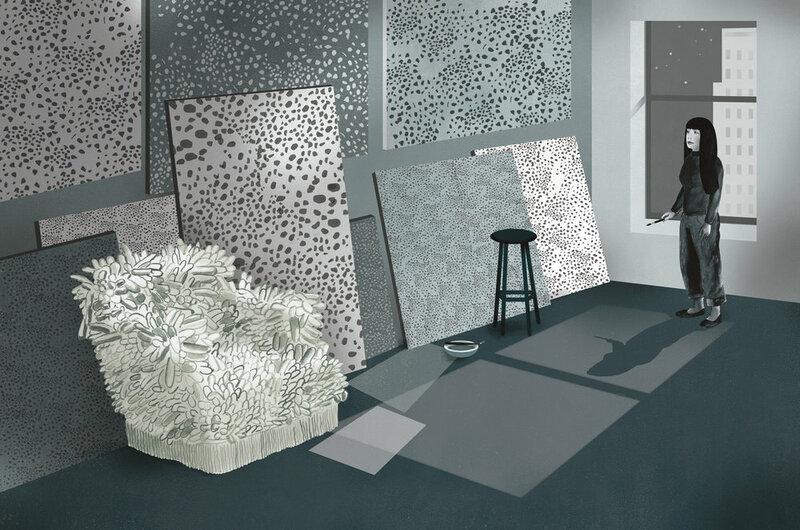 The workshop is Collage: medium, design tool and way of life. As busy adults, we often fail to make time for reflection, to think and feel deeply, and to challenge ourselves to see the world in new and beautiful ways. Perched at the edge of a wilderness and nestled in one of the most vibrant island communities, the Sitka Arts & Science Festival explores what it means to be human against the immensity of the forest, ocean and mountains of Sitka, AK. Through the complementary lenses of art and science, and guided by an extraordinary group of artists and scientists, participants will embark on a journey of learning and discovery. Join us. Immerse yourself in an intensive week-long workshop and experience our wilderness through guided excursions. Be inspired by performances and provoked by lectures. Go behind the scenes with musicians and actors. Reclaim your capacity for imagination and wonder. Art, science and the NEA!!!!! 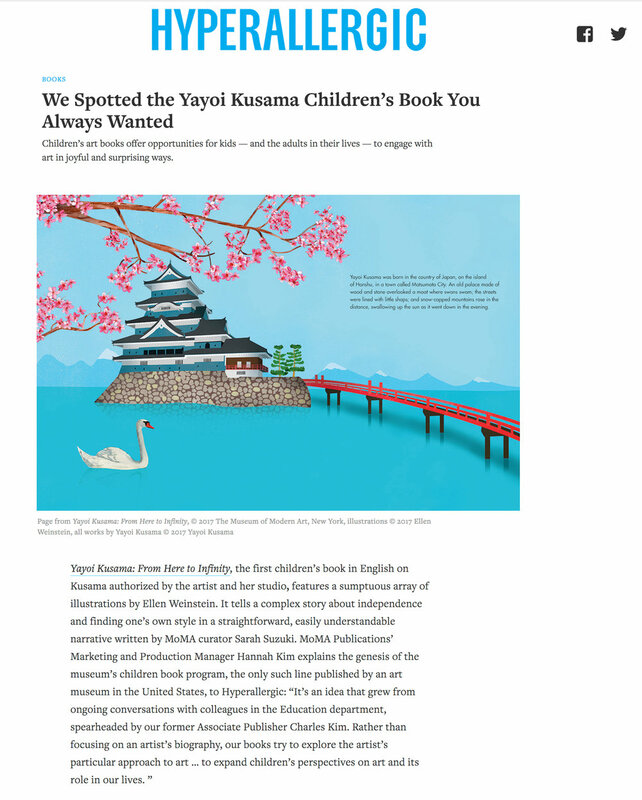 It's always an honor to be selected for the American Illustration book. Many thanks to the jury of Deanna Donegan, Art Director, The New Yorker; Kayla E., Editor-in-Chief and Designer, Nat. Brut; Nathan Huang, Art Director, The New York Times; Francesco Izzo, Graphic Designer, Associate Art Director, Nautilus; Jaya Miceli, Art Director and Graphic Designer, Simon and Schuster / Scribner; Matt Vee, Designer, Penguin / Viking; Jing Wei, illustrator and Illustration Director, Etsy, and Mark Heflin! The Fragile Generation for New Jersey Monthly. Nature makes chance, humans make luck. For Nautilus. You can read the full story here.